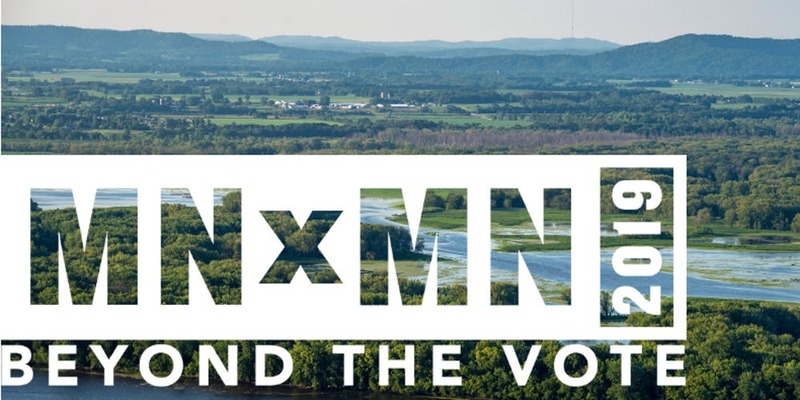 Early bird registration is open for the February 24 MNxMN 2019: Beyond the Vote conference, MNxMN’s second annual event dedicated to empowering civic engagement in Minnesota. MNxMN (pronounced “Minn by Minn”) is a community of activists and advocates across the state working to build a more equitable Minnesota. “The Beyond the Vote conference will help Minnesotans make sure our voices are heard,” said MNxMN chair Ambre Quinn. Minneapolis artist Ricardo Levins Morales, whose vivid and powerful artworks have helped define decades of protests, will bring his self-described healing and trickster organizing skills as the keynote speaker. The Beyond the Vote conference happens at Harding Senior High, 1540 Sixth St. East, St. Paul, 8 a.m.- 4 p.m. The day-long program features workshops and activities to deepen attendees’ knowledge about issues, develop advocacy skills and build relationships between new and experienced activists and advocacy organizations in Minnesota. Workshops and forums will focus on issues ranging from the ERA, Islamophobia, disability rights, reparations to healthcare reform, municipal IDs, police brutality and electoral politics. Attendees can boost their skills to tell their own or others’ stories, use social media for organizing, and reverse opioid overdoses using Narcan. Attendees can also learn about specific communities at sessions on the historical trauma of Native Americans, a coalition to prevent deportations, and listening to Minnesota women. Born in Puerto Rico, keynote speaker Ricardo Levins Morales brings an array of life and work experiences echoing the conference’s themes. He was drawn into activism in Chicago where his family moved in the late 1960s. Morales has worked in support and solidarity with the Black Panthers, Young Lords, and with peace, racial justice, farm, labor and environmental movements. He co-founded the Northland Poster Collective, which for thirty years provided artistic and printing services and materials to labor and community struggles. From his south Minneapolis studio/storefront, Morales uses his art and activism to address individual, collective and historical trauma, and leads trainings on creative organizing, social justice strategy and sustainable activism. With the Minnesota legislative session in progress, this Beyond the Vote conference gives people a great way to get involved in activism. “While some Minnesotans hit the gym in winter to tone their abs, we’re helping people statewide strengthen their civic engagement muscles, so they can make a difference,” Quinn said. Last year’s MNxMN Beyond Resistance conference drew nearly 400 attendees and featured 38 sessions geared toward social justice activism as well as over 75 exhibitors. For more information and complete list of speakers and workshops, https://www.mnxmn.org.